Time is money in business. So we have made it as flexable and easy as possible to request support from Limbtec. From this section you can book an appointment on line to have this work carried out. And lastly, you can log in and check the state of any work, and check on invoices raised in the past. Of course if it is easier for you to just email (support@limbtec.com) or phone an issue to us then we also deal with this and make sure your issues are dealt with as quickly as possible, or just call 01752 546967, if out of office hours and you have been given the out of office mobile number then please call this. 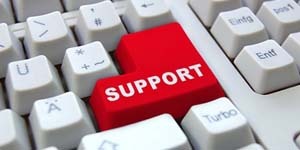 If you are looking for a new Provider for you IT Support, then check out our 3 Step Plan.